In the 11th edition of India's Buzziest Brands, e-commerce player Amazon emerges as the brand with maximum buzz around it. Airtel and Flipkart take up second and third place. Launched in India in June 2013 and not yet three years old in the market, Amazon has creditably emerged as the consumer brand with the greatest excitement around it. This is the result of the annual poll to determine India's Buzziest Brands. This annual survey, now in its 11th year, is conducted by afaqs! Airtel, which has been adjudged India's Buzziest Brand in the past, but was No. 9 last year, takes the Silver. Flipkart, which won the Gold in 2015, loses it to its arch rival, Amazon, and has to settle for Bronze. The awards were given away at a glittering function at the Crowne Plaza Hotel, Gurgaon, last night. The event was attended by the marketing heads of some of India's most exciting brands. The 11th edition of India's Buzziest Brands was supported by a number of brands. Online partner: ManoramaOnline; Gift Partner: Paytm; Agency Partner: ResultFirst; Outdoor Partner: Wall Street; Talent Partner: Jobswitch; and Luxury Bike Rental Partner: Eagle Rider. Apart from the awards given to the top 10 Buzziest Brands, Gold, Silver and Bronze awards were, additionally, awarded in 21 product groups. Voting for this was conducted separately. These awards were not derived from the main Buzzy Brand awards, in any way. In fact, voting for the main Buzzy Brands was based on unaided recall, but in the case of the product group awards, the jury was asked to select names from a list of brands. 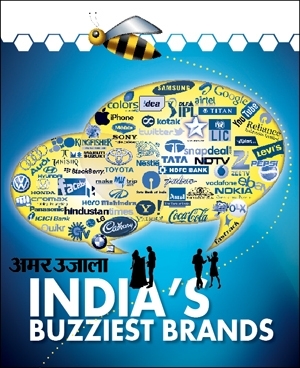 Oddity of the Buzzies this year: Nokia has been voted in among India's Buzziest Brands at No. 44 although it no longer exists as a consumer brand. Talk of the power of a name, even in death! Here's the full list of the Top 10 Buzzy Brands. Wasn't it only yesterday that Amazon entered India? And its founder Jeff Bezos committed himself to backing the Indian venture all the way to the bottom of his deep pockets? With Amazon having lost the e-commerce war in China, and being reduced to a bit player, India is the last major frontier left for the US-headquartered e-commerce player. And it's one in which it can't afford to lose. With that as a starting point, it is easier to appreciate Amazon's rapid rise in the Buzzy stakes. It entered the Buzzies for the first time only last year at No. 25 and has already scaled the very top, an extraordinary feat. To be frank, we at afaqs! couldn't stop writing about it last year. Even as it raced from 0 to 100 in terms of its range of offerings, it has had outstanding, relevant and entertaining advertising to accompany it. Every bit of communication has been laser focused, allowing Amazon to insinuate itself into the Indian consumer's life - a recent video about how it helped a Tamil family get past the language barrier in Assam is a prime example. Our favourite has been its insightful 'Aur dikhao, aur dikhao' campaign last year, which underlined the Indian consumer's obsession to check out an infinite range of options. Amazon stood at No. 4 on the popular vote in the Buzzies but was nudged all the way up because three of the five judges - who have a 30 per cent weightage as against 70 per cent for voters - backed it. Climbing up all the way from No. 9 last year, it is safe to say that Airtel has made the Buzzies its own. It has been on the list in each of the last 11 years, an amazing feat in itself. What's more, it has been in the top 10 in every year except one - and it has won the Buzzy Gold on five occasions. The worst Airtel has done was in 2010 when it dropped to No. 16. Only Idea and Vodafone have come close to Airtel's performance among the telcos, but this year both have performed indifferently, the former at No. 52 and the latter at No. 35. So, what got Airtel buzzing in a year in which its rivals looked a little flat? The answer - and some of your will go "Aaarrrgh, not again!" - is the ubiquitous 'Airtel girl'. Created to propagate Airtel 4G late last year, in anticipation of the rollout of Reliance Jio, the brand communication has been consistent. You can like her, you can hate her - but you can't get away from the Airtel girl. Airtel comes in relatively low on the popular vote at No. 9 but it's the only other brand other than Amazon that finds favour with three judges, helping it climb up to Silver. This ecommerce brand entered the Buzzies for the first time in 2012 and has been among the Top 10 every single time. It won the Buzzy Gold last year. It is a wonder that a relatively young brand has managed to capture the imagination of our voters and judges so consistently. For all the news around e-commerce last year, the harsh reality is that when it comes to buzz, only four of them make it to the list this year: apart from Amazon and Flipkart, there is Snapdeal and, squeezing in at No. 57 is Myntra. Amazon took some of the shine off Flipkart, which was inevitable. Flipkart's own advertising lost its way last year, which only helped make its new rival look good. Still, Flipkart has built a great name for itself and we expect to see it in the upper echelons for several years to come. Flipkart is No. 5 in the popular vote and climbs to Bronze with the tail wind of two jury votes behind it. Over the past five years, Samsung has been a better performer on buzz than any other brand in India. It hit No 1 in 2013 and 2014 and was the runner up last year. Even this time round it was the clear winner on the popular vote. Unfortunately for it, none of the judges gave Samsung their vote. Just a single vote could have placed it among the top three. Why do our voters continue to love Samsung? Well, with its relentless rollout of mobile handset models, it is hard to ignore the brand through much of the year. The brand has become so massive that unnoticed by most, it has come to rival Maruti Suzuki as India's largest consumer brand. This mobile handset from China has been a surprise performer in this year's Buzzies. 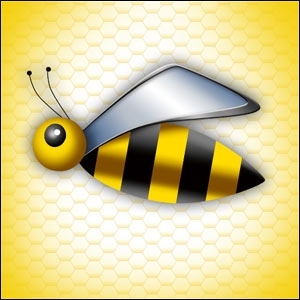 This is only its second year in the Buzzies, having made it to the list last year at No. 22. Established in 2002, Gionee has expanded into the markets of Nigeria, Vietnam, Taiwan, Myanmar, Thailand and Philippines, apart from India, which it entered in February 2013. It is remarkable that it has climbed so high, so fast. But retaining buzz is even harder than creating it, especially in a category where new rivals are springing up all the time, and we would be curious to see how Gionee manages to do that. Still, it has had a great start. Gionee has also won the manoramaonline Buzziest Brand On Digital Award. Maruti Suzuki is one of those rare brands that has managed to find its way into the Buzzies in each of the 11 years since the listing was established. Typically, it features somewhere around the middle of the rankings, in the 20s or 30s. Last year it was No. 31. Its best showing until now was in 2007 when it hit No. 9. This year it has outdone itself. Among voters Maruti Suzuki comes in at a strong No. 10 and then two of the jurors opt for the brand as well. Why has it done so well this year? Well, it has launched a number of exciting models which have kept it in the news. The recent auto show and the buzz it created may have rubbed off on the brand too. The re-launched Baleno has been a big success, having hit one lakh bookings recently. What created real excitement was the introduction of the Rs. 10 lakh plus S-Cross, described by the manufacturer as a crossover vehicle rather than an SUV. It is struggling to get volumes - but it's certainly created a lot of conversation for the brand renowned for relatively lower cost offerings. Apple, riding on the success of its iPhone, seems to have become a permanent fixture on the Buzzies list. Ever since it made it to the list in 2011, it has marked its presence every single time. This year's position is a marked upswing compared to 2015 when it was No. 15. In fact, our voters took the brand to No. 3 but the jurors didn't back it this year. Few brands have gyrated as wildly in the last five years at the Buzzies as has Snapdeal. It came in strongly at No. 7 in 2012 before plummeting to No. 41 the following year, before disappearing altogether in 2013. It was back on the charts at No. 30 before rising to No. 8 this year. Our voters peg Snapdeal at No. 20 but the encouragement of two jurors takes it a dozen rungs up the ladder. This is definitely the David in a lineup of giants. A small five-year-old brand that seeks to package and market traditional Indian drinks on the back of childhood memories, Paper Boat has done the unthinkable by landing in the top 10: nearly all the brands have sales in thousands of crores of rupees - while some like Samsung and Maruti Suzuki count that in tens of thousands of crores. We are not sure if Paper Boat does even Rs. 100 crore since its figures are unavailable. It has received great coverage in the press which loves the idea of this sweet brand that wants to do sweet things in a world of ugly carbonated beverages. Since the Buzzies run on unaided recall, however, Paper Boat gets drowned out in the voting, coming in at No. 53. The confidence of two jurors in its buzz sends it shooting upward. 2015 has not been a good year for this locally made brand. After once coming close to unseating Samsung in smartphone market share, the gap has widened dramatically as the Korean brand has pulled away. Worse, brands like Lenovo and Intex are leading a bunch of newcomers who are eating into Micromax's share of the market. Its CEO has just quit. The founders have been compelled to return to take charge of the company. How much worse can things get? 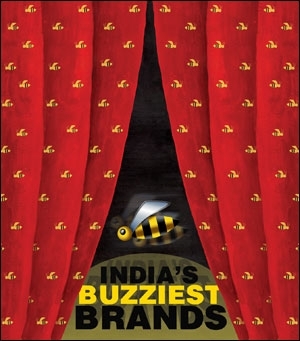 And yet, here is Micromax among the 10 most Buzzy Brands of the year. True, it is lower than the Bronze it won last year or the Silver the year before that. Still, voters had Micromax at No. 6. It is the lack of jury support that forces it to settle for No. 10. • Between 2006-13, afaqs! readers had to vote from among a pre-determined list of 60 brands. However, since 2014 voters can opt for any five brands that they think have buzz. Their choice is unprompted. • Additionally, since 2014, voters can opt for the Buzziest Brands by product category. Here, they can choose from a pre-selected list of brands in up to three categories. • An eminent jury comprising marketers, media and advertising professionals traditionally provides an alternative point of view to the main vote. As in the past, the popular vote received a 70 per cent weightage and the jury, the remaining 30 per cent. • The jury does not vote for the product categories. • In all, 1,629 people participated in the poll. Of them 1,420 validated their choice by clicking on a link sent to their email id. Only their opinion was taken into account. Surewaves Buzziest Brands 2015: Flipkart is India's Buzziest Brand!